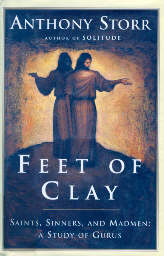 Do you feel like you're got feet of clay? Does life seem full of weaknesses for you? Are you fearful? Angry? Anxious? Feel down or upset by everyday occurrences? Plagued by chronic discomforts like migraines or tension-type headaches? Want to remove all those "stopper doyles" and free your individuality? At Last! Discover and apply for yourself this amazingly simple 21st Century approach to removing unwanted physical body states without surgery, drugs, or psychotherapy, e-mediatelytm!